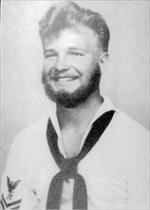 12/6/1941 By 1941, Jack found himself stationed in Pearl Harbor, Hawaii, where he served as a Boatswain’s Mate. As such, Jack was in charge of training and supervising sailors in the maintenance and upkeep of a ship: from painting to rigging, and was in charge of several working parties. Jack’s prized possession while serving as a Boatswain’s Mate was his boatswain’s “pipe” – a shrill-sounding whistle used to summon the crew, etc. As the year unfolded, and as the war seemed to grow closer to the U.S., Jack took great interest in the handling of Underway Replenishment (or UNREP), which involved the transferring of fuel, munitions, and stores from one ship to another while docked, at sea, or during combat. Such duties were headed by the Boatswain and a cohort of 6 other men, forming a special bond among these 7 men. After 6 months of "maneuvers" and numerous training missions, Jack was granted a week's leave-of-absence to visit his wife Louise for their one year wedding anniversary. (They had been married December 14, 1940). She was living in San Francisco, California at that time working in the war factories as a "Rosie the Riveter". On December 6th, Jack left Hawaii. As history recalls, the next day the Japanese attacked Pearl Harbor. Six men from Jack's UNREP core were killed during the "date of infamy". Had he been in Peal Harbor that day, Jack would have been the 7th killed from this group. 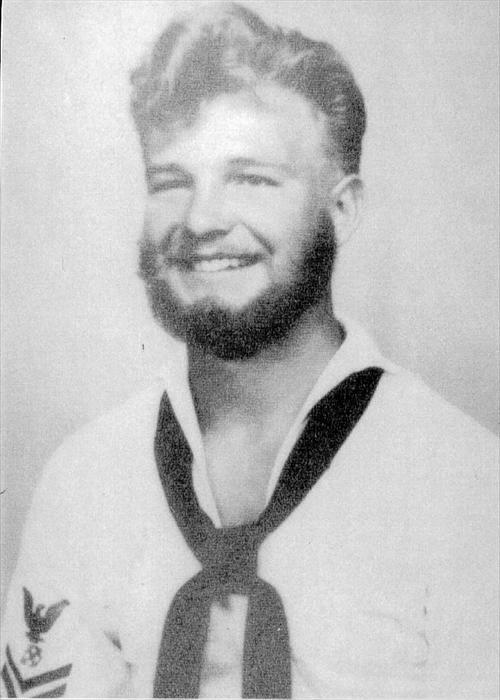 Nevertheless, Jack’s excellence in performing the duties of a Boatswain’s Mate and his involvement with UNREP led to his eventual training as a Frogman in the fall of 1942. 1942 Jack participated in 11 combat landings during World War II. Two occurred in the Atlantic Theatre while the other 9 occurred in the Pacific Theatre during the "island hoping" strategy to inch closer to mainland Japan. Both of Jack's Atlantic Theatre landings occurred in North Africa. In particular, this included a landing in Algiers during the Battle of Algiers (November 8-10, 1942) as part of Operation Torch. Jack took shrapnel to his right leg during the landing and was later awarded the Purple Heart. Sadly, it was during the charge up the beach at this battle that Jack witnessed his friend "Red" get his head shot off. 1944 As one of Jack's 9 combat landings in the Pacific Theatre, he participated in beach landings and additional combat during the Battle of Guam (July 21-August 8, 1944) in the Mariana Islands. 1945 As one of Jack's 9 combat landings in the Pacific Theatre, he participated in beach landings and additional combat during the Battle of Iwo Jima (February 15-March 26, 1945). 1945 As one of Jack's 9 combat landings in the Pacific Theatre, he was moved 7 days before fighting concluded at Iwo Jima to participate in beach landings and additional combat during the Battle of Okinawa (March 18-June 23, 1945). 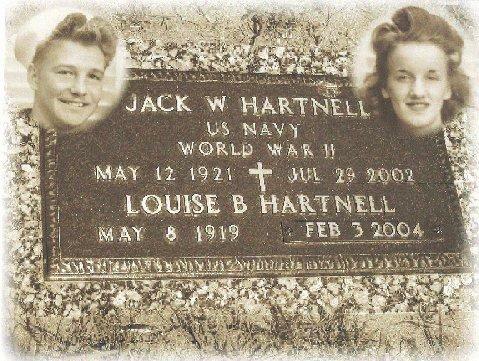 Gravesite for Jack and Louise Hartnell. Located in Traverse City, Michigan.